You probably had never really though about how much things you possess before you started packing up and preparing to leave. No matter how much time you will need, though, you are determined to succeed. If only you did not have to give the place a proper cleaning before walking out this door for the last time. Yet, despite all your prayers, your landlord will make you clean the apartment – that is the only way to get your deposit money back, after all. You know how much time you already spent packing up, and undoubtedly you know that if you have to clean as well, you will lose even more time which you could have spent moving in your new place. On the other hand, you paid way too much money for the deposit to discard it right away. If you do not want to lose your time in cleaning and you still want to get a full refund on your deposit money, contact us and book our company’s professional End of Tenancy cleaning services. 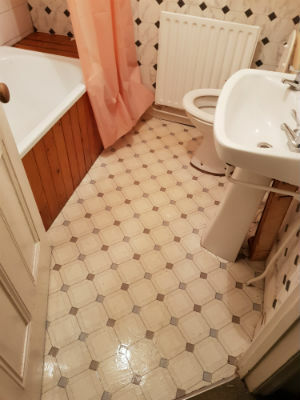 We are professionals with years of experience in the field of professional cleaning, we are operating in Earl’s Court, Paddington and Hammersmith and we guarantee you perfect results. Choose us at Tidy Cleaning London to clean your property and you will pass your final inspection with perfect score! We will save you time and effort and you will get a full refund on your deposit money afterwards. Book our services, we cover Earl’s Court. Choose us because our company is transparent in terms of prices. You will get a firm quotation upon booking our services in order to be able to plan accordingly. We will not impose any additional surcharges. What is more, our service comes with a 48-hour guarantee. That is, if we fail to deliver what we have promised, within 48 hours you can contact us and demand a re-cleaning session – it will be completely free of charge. Our End of Tenancy cleaning service is available for booking throughout the week, including on bank holidays. Our equipment is suitable to assist houses and apartments. For us no place is too dirty to be cleaned. Choose our services because our company works with environmentally friendly cleaning products only. The products our technicians use are 100 percent toxic-free and safe for use near children and pets. Tidy Cleaning London cares for its clients as much as we care for our planet. Choose our services because we will come on time. All of our cleaning specialists are locals and they are familiar with Earl’s Court. That is how we can guarantee that our clients will not have to wait for us. Choose us, we guarantee 100 percent refund on your deposit money. Our professional End of Tenancy cleaning service encompass every room within the rented premise. What is more, the number of technicians which will attend your rented property will be calculated on the base of how big the property is. We can guarantee you that our technicians will not turn a blind eye on the mould in the bathroom and on the dirt on the inside of the oven, too. We would like to inform the client that professional carpet cleaning is not included in our End of Tenancy cleaning services. Of course, our technicians will thoroughly vacuum your carpets, but we can not guarantee that this would be enough. The good news is that you can combine our services. 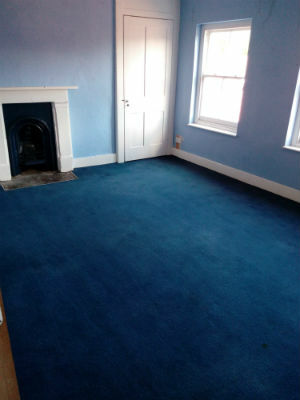 For example, if you decide that you need to have the carpet cleaned as well, you can book our End of Tenancy plus carpet cleaning services – huge discounts are available. Book our professional End of Tenancy cleaning services today and proceed with your moving out. Come back, perfect the final inspection and get your deposit back.